Hulu has officially announced the premiere date for Mindy Kaling’s upcoming 10-episode comedy-drama series Four Weddings and a Funeral. Based on the award-winning British romantic-comedy film of the same name, the anthology series is scheduled to make its debut on July 31, exclusively on Hulu. Four Weddings and a Funeral series will follow the story of four American friends — Maya, Craig, Ainsley, and Duffy — who reunite for a fabulous London wedding. But after a bombshell at the altar throws their lives into turmoil, they must weather a tumultuous year of romance and heartbreak. Relationships are forged and broken, political scandals exposed, London social life lampooned, love affairs ignited and doused, and of course, there are four weddings…and a funeral. The series’ cast includes Game of Thrones star Nathalie Emmanuel as Maya, Nikesh Patel (Indian Summers) as Kash, Rebecca Rittenhouse (Into the Dark: The Body) as Ainsley, John Reynolds (Search Party) as Duffy, Zoe Boyle (Frontier) as Gemma, and Brandon Mychal Smith (You’re the Worst) as Craig. Jennie Jacques as Zara, Harish Patel as Haroon, and Guz Khan (Turn Up Charlie), as Basheer. Golden Globe-nominated actress Andie MacDowell has also signed on for a guest-starring role in the series. Tom Mison (Sleepy Hollow), Tommy Dewey (Casual), and Ashley Madekwe (Revenge) have also been cast as guest stars. 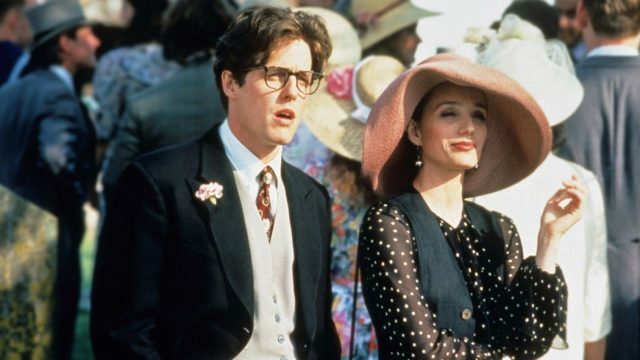 The series is inspired by the 1994 film Four Weddings and a Funeral, starring Hugh Grant and Andie MacDowell. The post Four Weddings and a Funeral Series Premiere Set for July appeared first on ComingSoon.net.